3 bedroom penthouse apartment on the 2nd and 3rd floors, with stunning sea views of the East Strand and Portrush beside the world famous Royal Portrush Golf Club. 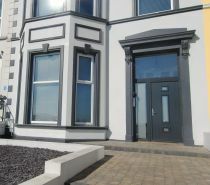 Modern 2 bed apartment in the development of West Strand in Portrush. This property has stunning panoramic sea views and only a few meters to the beach. Centrally located, 3 bedroom ground floor apartment with stunning sea views. Centrally located 2 bedroom apartment with exceptional sea views. 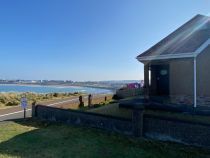 Ideally located in the town centre close to all amenities and overlooking the East Strand Beach. With private parking and lift ideal place to come visit the North Coast. Luxury 2 bedroom apartment with stunning sea views and views of Royal Portrush Golf Club. This is a duplex apartment over 2 floors. 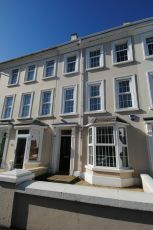 4 bedroom townhouse with sea views in Portrush. Three bedroom bungalow only a short walk to Portrush town centre and East Strand Beach with off street parking, enclosed garden and wifi. This is a 2 bed Cottage just outside Portrush, very close to Dunluce Castle and only a stones throw from Portballintrae and Bushmills. 4 bedroom holiday home with views of the West Bay across to Portrush Harbour and only a short 5 min walk to the town centre. Ideal for a family break away to the seaside. Luxury 2 bedroom, 3rd floor penthouse apartment, close to Portrush Centre. The property is located in an electronic gated development with lift, private parking, balcony with sea views. 2 bedroom apartment within The Whins Development. This apartment is within walking distance to the Town Centre and West Strand Beach. Modern and spacious three bedroom townhouse in the West Strand development in Portrush with open plan kitchen/living area and second reception room. The West Strand Beach is only a stones throw away. Spacious 6 bedroom home on the outskirts of Portrush. It has spectacular sea views and is a short drive to the center of town, Royal Portrush Golf Course and the Beach. Modern 2 Bedroom Apartment, with views over Ramore Head. Very close to beaches, restaurants, tennis courts and play area, and only a short walk from the town centre. Golf courses are also close by. 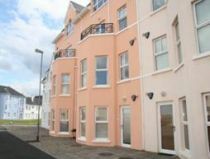 2 bedroom apartment right beside the West Strand Beach in Portrush, ideal for families. Sleeps 5. Stunning 2 bedroom penthouse with view of Portrush Harbour and West Strand Beach. Luxury 3 bedroom apartment beside the popular West Strand Beach in Portrush and only a stones throw from the sea. 3 Bedroom Semi Detached holiday home only a 5 -10 minute walk from The West Strand beach and Portrush Town Centre. A delightful modern apartment close to the Town Centre and beaches. Quirky 2 bedroom cottage located a stones throw from the Ramore Wine Bar. It is also a short walk to the many shops, cafes and other restaurants that Portrush has to offer. 4 Bedroom property around the corner from East Strand Beach and only few meters to local shops, cafes and restaurants. 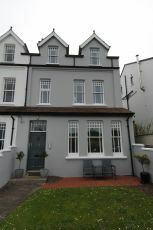 Dhu Varren Apartment A, Portrush. 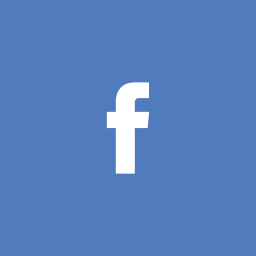 4 bedroom holiday home close to Portrush. This property has 2 bedrooms and an en-suite bathroom on the ground floor. Modern 2-bedroom apartment on the second floor with stunning sea views over the harbour and West Bay beach. Located in the centre of Portrush, only a short walk to beaches, restaurants, coffee shops, bars and shops. Dhu Varren Apartment C, Portrush. 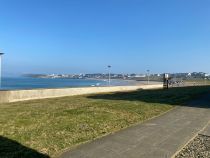 Top floor 3 bedroom apartment with stunning sea views, very close to Portrush West Strand Beach. Three bedroom, duplex apartment within walking distance to a 9 Hole Golf Course and Tides Restaurant. It is only 2 miles from Royal Portrush Golf Club. With private parking, wifi and sea views this apartment would be perfect for a break away!